We are working on PITTONKATONK 2015 now. 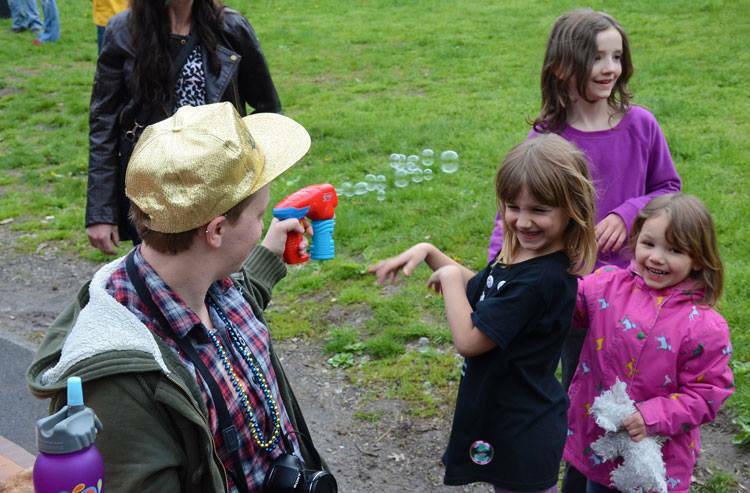 Our first event was a huge success and we are planning on doing this again. Unfortunately we are currently under construction. But please stop back for more info on Pittonkatonk 2015. Check out HONK! and PRONK! What is a community and what does it sound like? Music has always been with us. We have an innate desire to be musical and music in many ways defines who we are. The importance of music in our lives has not changed over the millennia, but the way we engage it has. The audience has become distanced from performers. We are separated by venues, stages, admission prices, and music-playback devices. Few of think of ourselves as musicians but we all are. Christopher Small coins the term “musicking” as a verb that describes a diverse collection of activities that comprise musical engagement. 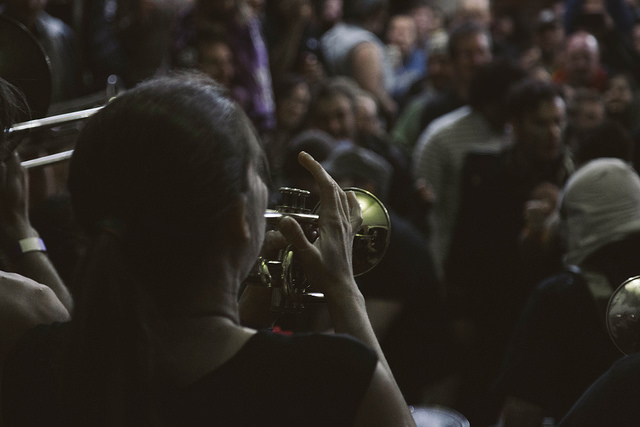 Being musical involves not just performing and creating, but also listening and sharing. Pittonkatonk is music without boundaries. It is a place where the audience and musicians become one. 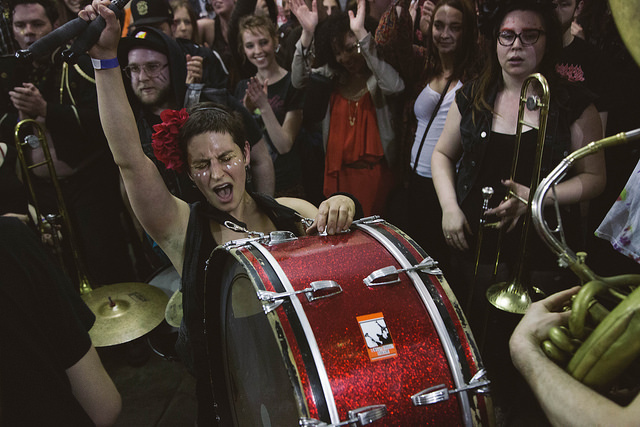 Pittonkatonk is music is held public space that we all own. There is no stage, no seating area, and no right way to express yourself. 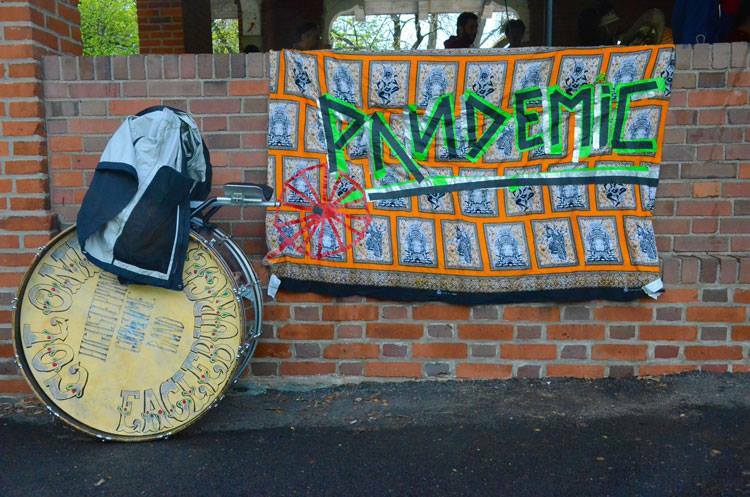 There is no admission fee, no corporate sponsors, and nothing is for sale. 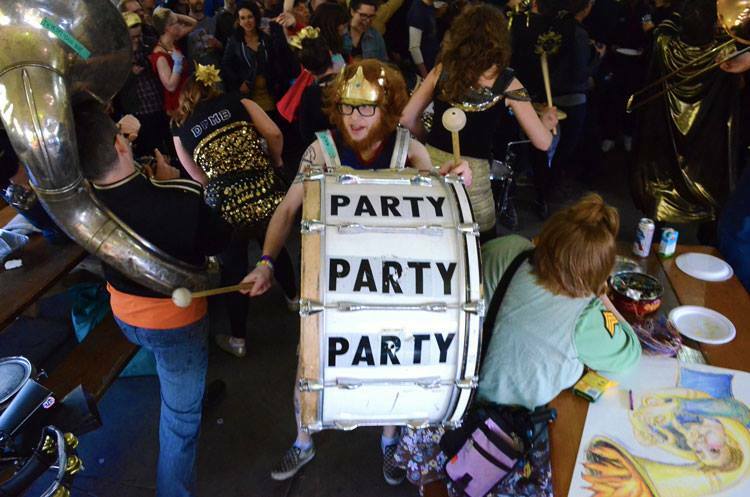 It is a pot-luck event where participants bring food, drink, music, dance, and the desire to come together for a day of celebrating what music and community really are. 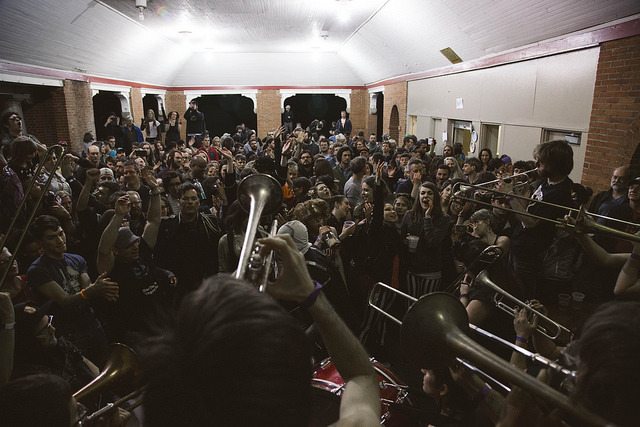 Pittonkatonk is a joyous family reunion that brings the people of Pittsburgh together with some of the country’s best brass bands. 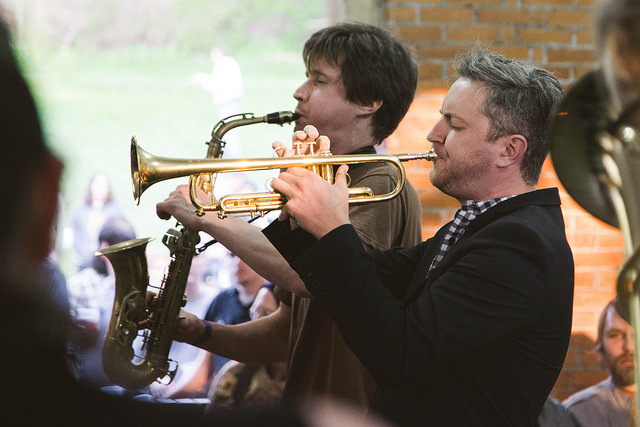 Pittsburgh has a variety of arts and folk festivals, but a contemporary brass festival that highlights the diverse sounds of brass music – while paying homage to gypsy, folk, punk and jazz roots – has yet to happen. 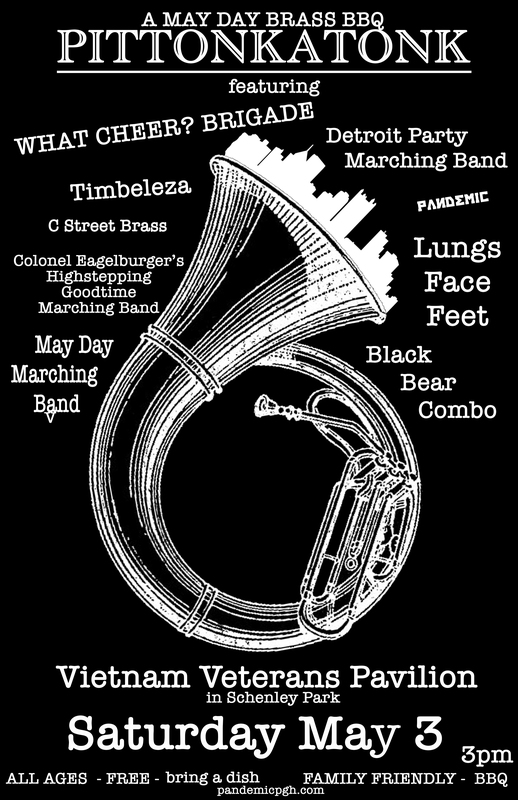 The MAY DAY BRASS FESTIVAL is a FREE outdoor weekend that will feature a variety of brass bands. 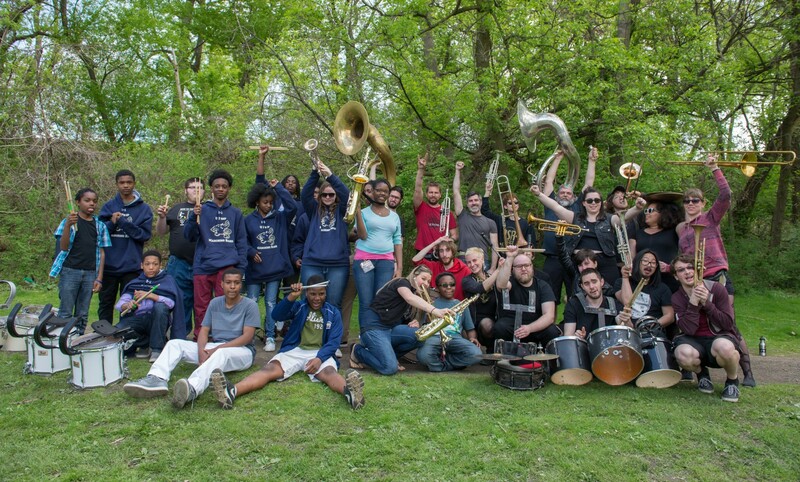 While Pittsburgh has an avid (and growing) brass music community, with regular events drawing large, interested crowds, the city has never hosted a brass music festival. 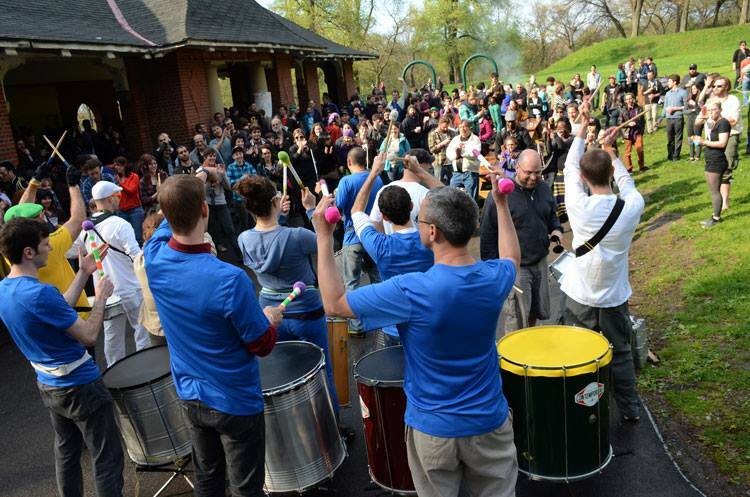 Cities that do host festivals (HONK in Boston, Golden Festival in NYC) have been able to bring diverse communities together to enjoy a contemporary experience based on time-honored cultural traditions.